When you are in need of high performance for your tractor, truck, monster truck or boat, look no further than SCS Gearbox. For more than 36 years, we have been serving as the leading manufacturer of quick change gears, 4×4 transfer cases, 10 spline gears, 6 spline gears and other custom machining applications. Our reputation, track record and satisfied customers are what make us the go to source for premium, high performance parts. We welcome you to browse through our website where you will find information about our parts, company info, contact information and more. Whether you race trucks, cars, boats or monster trucks, you are in it to win, not to finish in second place. The same concept holds true for SCS Gearbox – we are in it to win and that happens when you are satisfied with us and our products. So the next time you are on the market for quick change gears, 4×4 transfer cases or high performance transmissions, start and end your search at SCS Gearbox! Thank you for visiting SCS Gearbox, your number one source for quality manufactured quick change gears, 4×4 transfer cases, custom machining, high performance transmissions and so much more. For answers to questions about ordering, give us a call at 419-483-7278 or by emailing us at sales@scsgearbox.com. In the meantime, browse through the rest of our website to learn more about our products. 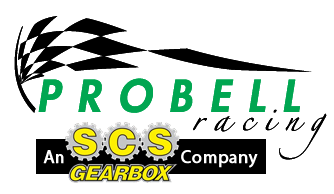 SCS Gearbox Inc, manufactures specialized gearing for high performance racing applications in tractors, trucks, and much more. When you take the time to see all that we have to offer, you will find a company with a track record of exceptional products with outstanding custmor service. 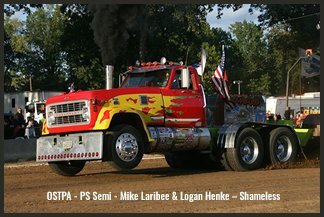 SCS is a company that never settles for being less than the best it can be. Here is a sample of what we have to offer. You will find that we have just what you’re looking for. We are a company that grows with its clientele. We have expanded to provide the wide range of items that we sell today and we will continue to grow with our clientele into the future. If you need Quick Change Gears and Custom Machining or a 4×4 Transfer Case, Transmissions, and Truck Gears. We will do our very best to give you what you need. Check out our web site to learn more. Please remember when giving our company a call that each customer means as much to us as the next. Our phone calls tend to last around 20 minutes per customer. We strive to give each customer the time and respect that they deserve. Your wait time could be extended as we are assisting others. We appreciate customers who are willing to hold. Your call will be taken in order as received. We understand your time is as valuable as ours. We can take a message and give you a call back at our earliest convenience. Please remember that we tend to be very busy and when you cannot hold for a chance to talk to a Tech or Sales Associate you may have a longer wait to get a return call from us. Thank you for your understanding.